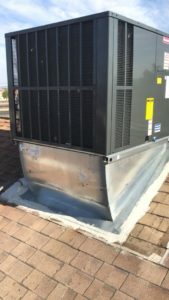 What is a Package Central Air Conditioner? 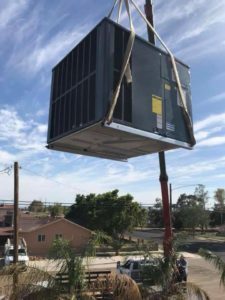 A package unit is the all-in-one heating and cooling system for homes that don’t have a lot of room indoors for either a furnace and coil, or an air handler. Package units will contain all of their parts in one outdoor unit that sits on either the roof or to the side of a building. 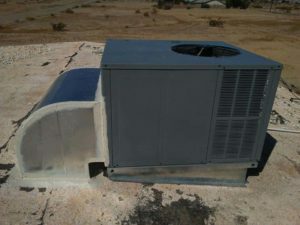 Typically, a packaged unit is used in the Southwest or in manufactured homes – areas and homes that don’t typically have crawlspaces or basements. However, they can be a good option for any home with the right ductwork. Additionally, they come in two different footprints: small or large. 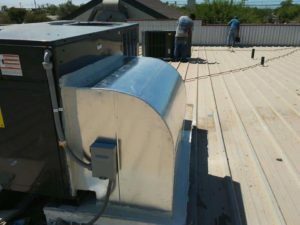 The footprint you need depends on the BTU/tonnage and installation requirements for a building or home. Smaller footprint package units tend to be easier to install while larger footprint package units have greater installation flexibility. Large footprint units can be installed on either a rooftop or a slab while small footprint packaged systems can only be installed on a slab. There are a number of different package units – each with their own benefits and drawbacks if you live in a certain areas. 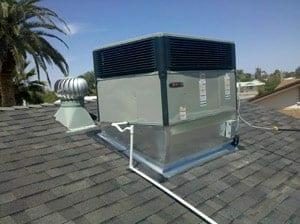 Package Air Conditioners: A package air conditioner has all of the cooling and heating components in one exterior box. For added comfort and heating capabilities, you can add heat strips. 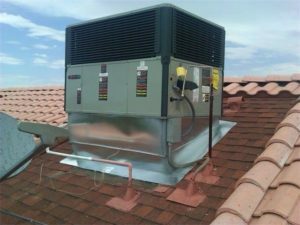 This is typically going to be the right unit for you if you want all-electric heating and cooling capabilities. Our package air conditioners range in efficiency from 14 SEER to 16 SEER, making them a great option if you want to upgrade from an old system that may have only been 10 SEER. 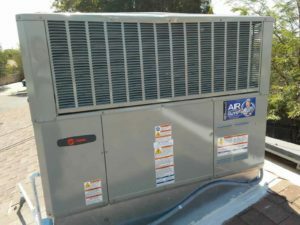 Packaged Gas/Electric Systems: The other option for a package air conditioning system is a gas pack. These convenient units combine an air conditioner, coil and gas furnace. This option is great for you if you want the option of gas heating power. Typically, you would choose this option if you live in an area that does not have a lot of space inside to house an indoor component. 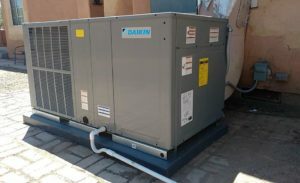 Package Heat Pumps: Package heat pumps contain a heat pump and an air handler. These units are good for residents of the South where temperatures rarely drop below freezing. 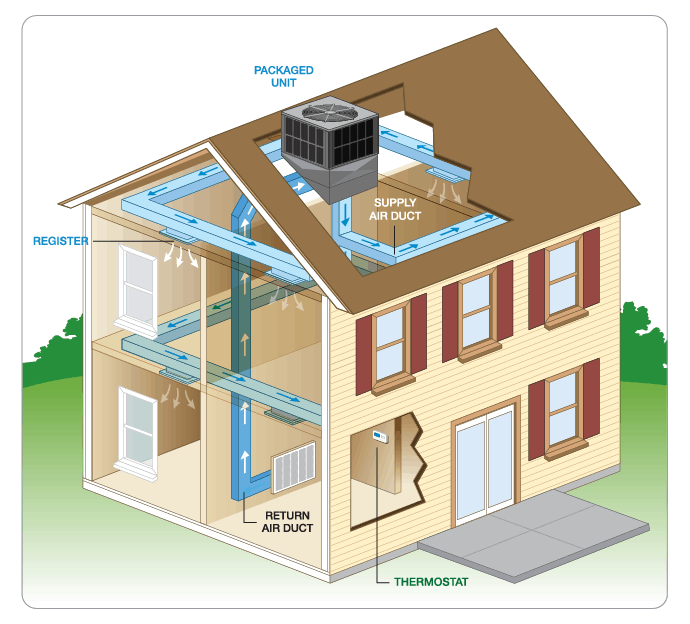 With one of these package units, you can get all-electric heating and cooling. 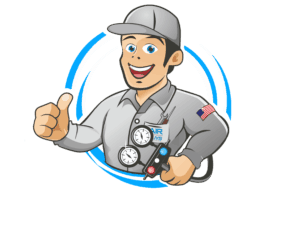 Dual-Fuel System: A package dual-fuel system is your best option if you want the benefits of having a heat pump but temperatures frequently drop below 25°F and you don’t have room for the coil and furnace indoors. Your dual-fuel system works by turning on your gas furnace when temperatures get too cold. Because of this, you will use less gas year-round to heat your home, potentially reducing your overall gas utility bill. Our hybrid system unit is an efficient package dual-fuel system option. If you can’t decide which package air conditioner is right for you, or if a split system is the better option for your home, just ask us. 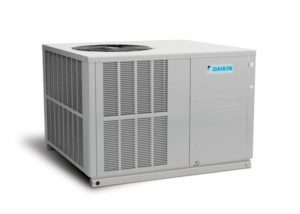 Packaged Air Conditioners: In addition to the typical cooling feature associated with an air conditioner, packaged air conditioners are capable of producing limited heat with heat strip elements. With electricity as the fuel source, the heat strips are warmed, and the air is heated as it flows over the strips.The warm air then travels through ducting to increase the interior temperature of your home. This type of heating component is mainly used in warmer climates where heat is only used occasionally. Space efficiency – Unlike split-system units, all components of a complete heating and cooling system are contained in one location, making packaged units ideal for situations in which indoor space is at a premium. Energy-efficient heating and cooling performance – All our brands of packaged units offer 14 SEER or higher cooling performance. Our packaged gas/electric units offer 80%, 90% and 95% AFUE heating performance, as well.